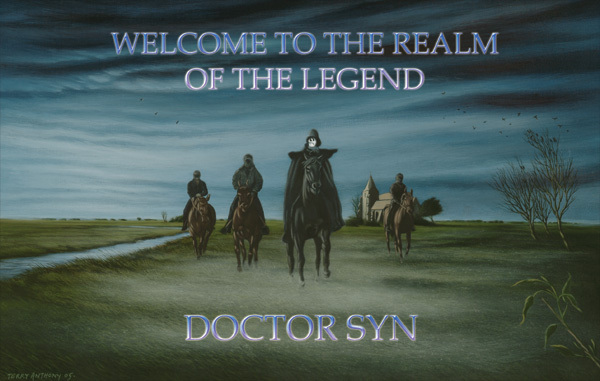 Dr Syn alias the Scarecrow, Scarecrow of the Romney marsh, Captain Clegg, hero of the novels created by author Russell Thorndike. Dr Syn, by day, much loved vicar of Dymchurch. Dr Syn, by night, feared 'Scarecrow' and leader of the smugglers and smuggling gangs of Romney Marsh. Dr. Syn alias the scarecrow, Dr syn pirate and romantic. The Doctor Syn Stories capture the imagination of young and old alike. Gangs of smugglers roaming the Romney Marsh by the moonlight, organised by Dr. syn himself, dressed as the terrifying Scarecrow on his fearsome black horse. THE ROMNEY MARSH, situated in the South East corner of England, is a unique and mysterious location, steeped in tradition and legend. Reclaimed from the English Channel since the time of the Romans and due to it's close proximity to mainland Europe; the area has, over the centuries, been in the front line of the invasion hordes of Vikings, Saxons and Normans; as well as in more recent times facing the sinister invasion threats of both Napoleon and then Hitler. The range of Martello towers and defensive bastions along it's curved coastline reflect this unenviable legacy. The area, now a peaceful haven, lies somewhat precariously below sea - level; the awesome force of the great tides only kept at bay by the giant wall which has withstood the onslaught of centuries of ferocious channel storms. The Marsh is famous for it's churches, so rich in charm, beauty, history and architecture. There are also many strange tales surrounding these ancient buildings and their sites.The moods of the marsh are many, and when the hot sun sits high above the great scarp of Lympne Hill, smiling it's rays upon the quilt of greenest England, beaming it's reflection upon the summer sea and the ribbons of reeded dykes, there are few places in the world of such serene beauty and tranquillity. On another day, the sea mist that rises incredibly fast, shrouds the land in a blanket of enveloping mist so dense, you cannot see further than a foot in front of you. On these days, you can almost touch the eerie silence. Winter winds can be frighteningly severe, with savage storms and blizzards that blow massive sheets of snow horizontally across the land. When night falls, the blackness and the isolated cry of the Curlew beckon in a most ominous and spooky feeling, and it is easy to understand why so many tales abound of ghosts and ghouls and the supernatural. It was against this background that the author Russell Thorndike created his famous Dr. Syn novels. 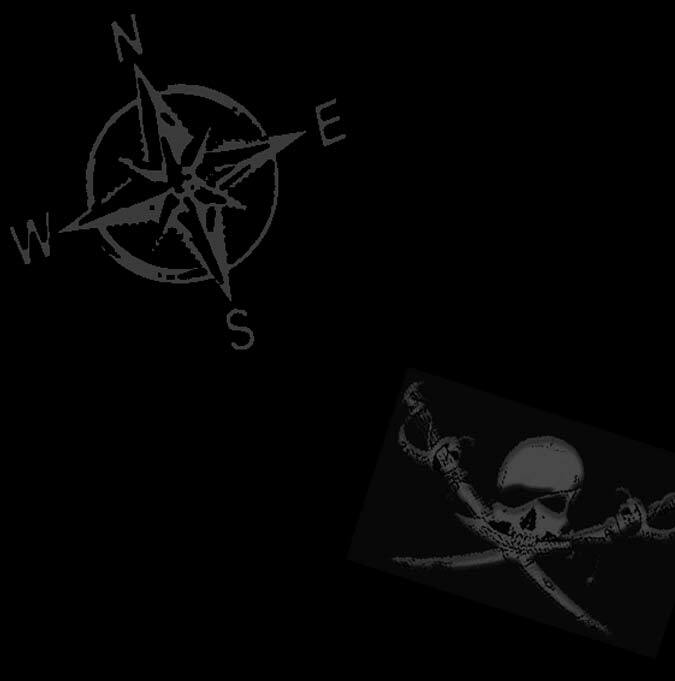 Set in the latter part of the 18th Century when the old smuggling gangs were prevalent in the area, the books tell the story of Christopher Syn; a man of majestic romance, daring and cunning. By day, the pious and extraordinary vicar of the parish of Dymchurch - under - the wall and by night the infamous "Scarecrow"; leader of the notorious smuggling gang , "The Night Riders"; whilst concealing the deadly secret of his third persona of Captain Clegg, the most ruthless and blood - thirsty pirate terror of the high seas. Benevolent hero and ruthless villain, this legendary character has flamed the imaginations of many generations and has certainly been the major inspiration for the recent work of the artist Terry Anthony. His "Marsh Phantom" series and his collection of "Romney Marsh Churches" capture graphically the contrasting moods of the area; from it's darkest and most malevolent to it's brightest and most sublime. These spectacular oil paintings; alive with colour, contrast and detail, reflect at a deep level the spirit and soul of the marsh; if not mystery itself. Terry Anthony's works have been a major inspiration to the Singer / Songwriters 'JIMMIE BONE' and 'JAYL' culminating in their collaboration on the highly rated CD release "The World And The Hooded Man". These paintings are growing ever popular and are available in various formats, including posters, postcards and limited edition prints.